Visit Uphall Golf Club Pro Shop for all the latest golf equipment, clothing, footwear and accessories. Gordon stocks many of today’s top brands, TaylorMade, Titleist, Ping and Callaway, Under Armour, Footjoy and Glenmuir. Under Armour have launched their latest styles and we have a dedicated rack in the Pro Shop. 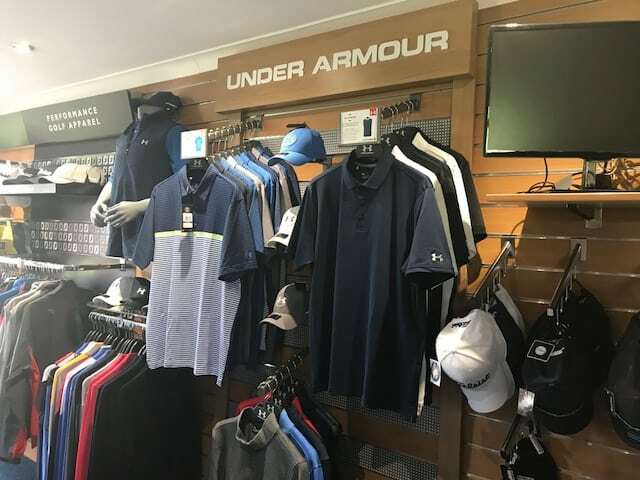 Other clothing brands include Footjoy and long-standing favourites such as Glenmuir, Sunderland and ProQuip which continue to offer great quality and value for money. Glenmuir Club Crested 1/4 zip garments cotton & Merino with a range of colours. As always, Gordon stocks all the best golf balls including TaylorMade and Titleist Pro V1 and Pro V1x balls, which remain the number 1 balls on every worldwide tour, whether for an amateur or professional these are the balls to play for top performance in all conditions. 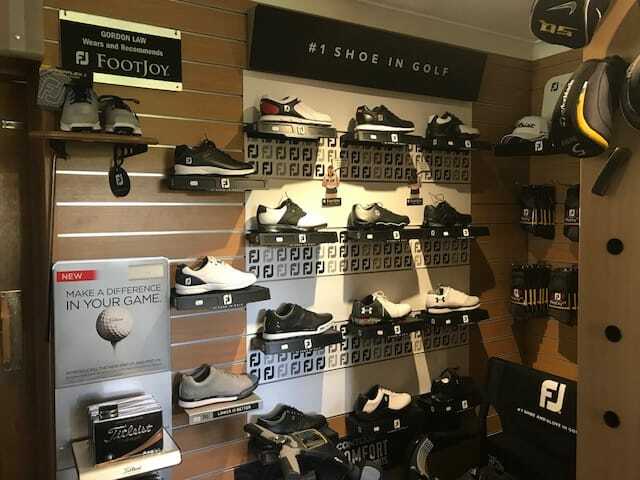 A wide selection of golf shoes are available this season, all the latest styles and brands include Footjoy and Under Armour. Prices range from £50 – £150. TaylorMade have also launched the M4 range to complement the fully adjustable M3 Drivers, Fairways and Hybrids are in stock. We have a wide range of demo golf clubs too. There is a chance to try out these on the course before you buy. Titleist 917 drivers, fairway metals and hybrids together with newest Vokey Wedges – SM7 which are another step up from previous versions. All of these clubs are already in play by most of the Titleist Staff Players. Demo clubs are available to try before you buy and can also arrange a full custom fitting to make sure you get just the right fit for your game. Many of the members here have gone through this process and all have agreed that it is well worth the time and very enjoyable. Choose from a full range of putters from Scotty Cameron, Odyssey, TaylorMade and Ping and with the putting green right outside the Pro Shop, why not test a few before making that vital decision for what is often overlooked as the most important club in the bag. 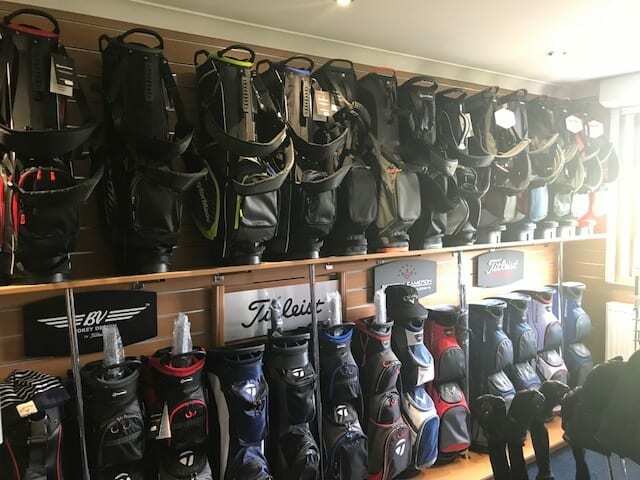 Check out our full range of golf bags suited to all golfers including tour, stand and pencil bags from top brand suppliers. We also supply various electric trolleys.